We consider the diffusional transport in an $r$-component solid solution. The model is expressed by the nonlinear system of strongly coupled parabolic differential equations with initial and nonlinear boundary conditions. The techniques involved are the local mass conservation law for fluxes, which are a sum of the diffusional and Darken drift terms, and the Vegard rule. The considered boundary conditions allow the physical system to be not only closed but also open. The theorems on existence, uniqueness and properties of global weak solutions are proved. The main tool used in the proof of the existence result is the Galerkin approximation method. The agreement between the theoretical results, numerical simulations and experimental data is shown. A.A. Adams and J.J.F. Fournier, Sobolev Spaces, Elsevier, Amsterdam, 2008. R.W. Balluffi, S.M. Allen and W.C. Carter, Kinetics of Materials, John Wiley and Sons, Haboken, 2005. L. Boltzmann, About the integration of the diffusion equation with variable coefficients, Annalen der Physik und Chemie 53 (1894), 959–964. B. Bożek, M. Danielewski, K. Tkacz-Śmiech and M. Zajusz, Interdiffusion: compatibility of Darken and Onsager formalisms, Materials Science and Technology 31 (2015), no. 13B, 1633–1641. H. Brenner, Diffuse volume transport in fluids, Phys. A 389 (2010), 4026–4045. S. Carl, V.K. Le and D. Motreanu, Nonsmooth Variational Problems and their Inequalities, Comparison Principles and Applications, Springer, New York, 2007. M. Chipot, Elements of Nonlinear Analysis, Birkhäuser, Basel, 2000. E.A. Coddington and N. Levinson, Theory of Ordinary Differential Equations, McGraw-Hill Book, New York, 1955. M. Danielewski, R. Filipek, K. Holly and B. Bożek, Interdiffusion in multicomponent solid solutions. The mathematical model for thin films, Phys. Stat. Sol. a 145 (1994), 339–350. M. Danielewski, K. Holly and W. Krzyżański, Interdiffusion in r-component (r ≥ 2) one dimensional mixture showing constant concentration, Comp. Methods Materials Science 8 (2008), 31–46. L.S. Darken, Diffusion, mobility and their interrelation through free energy in binary metallic systems, Trans. AIME 175 (1948), 184–201. D. Dautray and R.D. Lions, Mathematical Analysis and Numerical Methods for Science and Technology, Springer, Berlin, 1992. M.A. Dayananda, Determination of eigenvalues, eigenvectors, and interdiffusion coefficients in ternary diffusion from diffusional constraints at the Matano plane, Acta Mater. 129 (2017), 474–481. A.R. Denton and N.W. Ashcroft, Vegard’s law, Phys. Rev. A 43 (1991), 3161–3164. C.R. Doering and J.D. Gibbon, Applied Analysis of the Navier–Stokes Equations, Cambridge University Press, New York, 2004. L.C. Evans, Partial Differential Equations, AMS, Providence, 1998. K. Holly and M. Danielewski, Interdiffusion and free-boundary problem for r-component (r ≥ 2) one-dimensional mixtures showing constant concentration, Phys. Rev. B 50 (1994), 13336–13346. C. Matano, On the relation between the diffusion-coefficients and concentrations of solid metals, Jpn. J. Phys. 8 (1933), 109–113. O.A. Ladyzhenskaya, V.A. Solonnikov and N.N. Ural’ceva, Linear and quasilinear equations of parabolic type, AMS, Providence, 1988. T. Roubı́ček, Nonlinear Partial Differential Equations with Applications, Birkhäuser, Basel, 2005. S. Sangeeta and P. Aloke, Role of the molar volume on estimated diffusion coefficients, Metall. Mater. Trans. A 46 (2015), 3887–3899. A.D. Smigelskas and E.O. Kirkendall, Zinc diffusion in alpha brass, Trans. AIME 171 (1947), 130–142. B. Wierzba and W. Skibiński, The intrinsic diffusivities in multi component systems, Phys. A 440 (2015), 100–109. A.D.Wilkinson, Mass Transport in Solids and Fluids, Cambridge University Press, Cambridge, 2000. K. Wu, J.E. Morral and Y. Wang, Horns on diffusion paths in multiphase diffusion couples, Acta Mater. 54 (2006), 5501–5507. 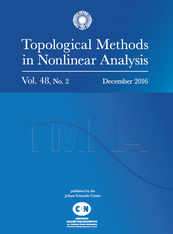 E. Zeidler, Nonlinear Functional Analysis and its Applications II/A: Linear Monotone Operators, Springer, New York, 1990.